With the release of Black Summer, marks the third Netflix Original zombie title now available to stream. Fans across the world have had time to binge, and gorge themselves on the first season of Netflix’s latest zombie thriller. 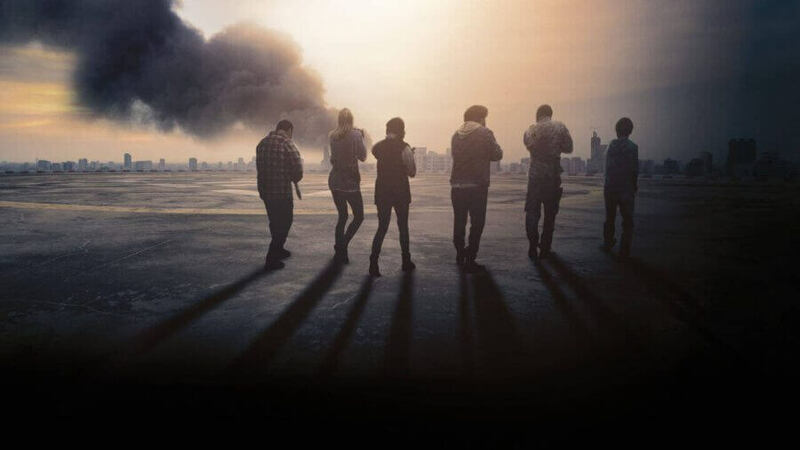 With many hungry for more, has Netflix renewed Black Summer for a second season? And when is the release date? Let’s find out. Black Summer is a Netflix Original zombie-thriller series created by Karl Schaefer and John Hyams. Set in the world of Z-Nation, the series is a prequel to the beloved crazy zombie series. Taking a more nuanced, with an intimate and darker tone compared to that of its companion series. Set a years before the events of Z-Nation, during the darkest days of the zombie apocalypse, a mother joins with a group of strangers to help find her lost daughter and their loved ones. At the time of writing Black Summer is still a fresh release on Netflix. In typical Netflix fashion, the streaming service very rarely orders seasons of TV shows in blocks. Black Summer is no exception, therefore, we’ll be waiting of least a month before we hear any news on a potential renewal. Considering how popular Zombie titles have become in the past decade, Netflix will likely renew the title if viewing figures are respectable and if there’s a demand from subscribers. Does the story warrant season 2 of Black Summer? Opinions may be split on whether Black Summer needs a second season. The final shot was Rose and her daughter about to reunite giving us one of the few happy moments in the first season. Out of the group of survivors only Sun, Spears and Rose survived the journey to the stadium. Rose’s story is effectively concluded after reuniting with her daughter. Spears’ only motivations were to survive and help Rose on her journey. Meanwhile, Sun who doesn’t speak a word of English may have only been looking to be evacuated. The only survivor with motivation to continue the story was Vallez, but Rose had to mercy kill him, due to slowing her and the other survivors down because of his injury. Also, Lance is AWOL as he was running away from a growing horde of zombies. Speaking of hordes, the zunami was heavily hinted during the first season, but we never saw it. If Black Summer returns for a second season, the tidal wave of zombies can’t be too far aware, but considering how useless the protagonists are at killing zombies, it’ll be game over when it arrives. There is room for more Black Summer, especially is the plans are for the show to link up with Z-Nation. We’d like to see the story of Black Summer, actually, go into detail about the event that’s mentioned on Z-Nation. Mass starvation, paranoia, and panic made that summer one of the hardest time periods of the apocalypse, which should be explored in greater detail. After searching online opinions are split between subscribers on how they feel about the Zombie thriller. Clearly, some prefer more action, whereas others preferred Z Nation that came before it. Kids + Horror = Too goddam creepy. The release date for a second season will be dictated on the time taken to renew the series. Filming of the first season began in July 2018 and wrapped up by the end of September 2018. The more intimate setting of Black Summer didn’t need a long amount of time for filming, therefore, if the series were to be renewed we can expect the release date to be roughly 9 months after filming would begin. Even though filming ended in September 2018, it took almost seven months to be released. Editing would have played a large part in the production of the first season. For anyone who’s watched the series will understand why the editing process would take so long. If filming of another season were to begin this Summer, then we could expect another Spring release date for the second season. Would you like to see the second season of Black Summer? Let us know in the comments below!